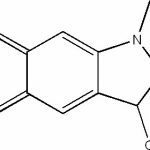 It is a chemical used chiefly in the manufacture of Hexamethylene Diamine, which is used widely to prepare nylon. The CAS No. of this compound is 111-69-3. The formula of this compound is NC(CH2)4(CN). The molecular formula of this chemical is C6H8N2. The molecular weight of this chemical is 108.141 g/mol. Know about some of the main physical and chemical properties of this compound. Phase : It can be found in a liquid form at STP (standard temperature and pressure). Appearance : It appears as clear, colorless liquid. Odor : It is odorless. Vapor Pressure : 0.009998 mmHg. The electrohydrodimerization of Acrylonitrile (ACN) to Adiponitrile is a widely used electro-organic process for the preparation of this compounds. It can be produced by direct electrochemical hydrodimerization of Acrylonitrile in a medium that contains the compound along with electrolyte salt and water. The medium is passed through pairs of electrodes that are 0.05 to 2 mm. apart. These days, cadmium cathodes and steel anodes are used in a bipolar cell without membranes. Two-phase recirculating aqueous emulsion of ACN, ADN, a bisquaternary salt (hexamethylene(bisethyltributyl)ammonium phosphate), phosphate buffer, anode anticorrosion additives, borax and EDTA is also deployed. The process of preparation is conducted at a temperature of 55oC (131oF) and density of 2 kA/m2. A portion of the organic phase is continuously removed from the emulsion reservoir for separating the product. The aqueous phase also receives a continuous treatment to avoid organic byproducts and metallic salts accumulating from oxidation of electrode. This chemical can also be produced from Butadiene. The Butadiene method was pioneered by DuPont and uses natural gas, which makes it sensitive to price fluctuations in natural gas. The Acrylonitrile method uses propylene and is subjected to fluctuation in the price of Propylene. This chemical is an important intermediate for the manufacture of synthetic fiber. It is used almost exclusively to make Hexamethylene Diamine (HMDA), of which 92% is used to make nylon 6,6 fibres and resins. Adiponitrile RTECS No : AV2625000. Adiponitrile Flash Point : 110°C. This substance can start a fire and generate irritating or highly toxic gases. Flammable Hydrogen gas may be generated on its contact with metals. For small fires, dry chemical, Carbon Dioxide, or water spray may be used. For large fires, alcohol-resistant foam can also be used. In worse cases, individuals may enter into coma and even die afterwards. Its long-term (chronic) health complications can be in the form of Cyanosis, Acidosis and quick shallow breathing. In case of exposure to eyes, the victim should flush eyes with plenty of water for at least 15 minutes while occasionally lifting upper and lower eye lids. He or she should seek immediate medical help. In case of skin contact, skin should be splashed with enough water for the same duration. Contaminated clothes and shoes should also be removed and kept away. Seek medical help. Clothes should be washed before reuse. In case of inhalation, the victim should immediately move to a fresh, airy place. If the victim is not breathing, he or she should be given artificial respiration. If breathing is difficult, the victim should be provided with artificial oxygen. Immediate medical help should be sought. Mouth-to-mouth resuscitation should not be used. Physicians treat such patients symptomatically and supportively. Users should wash their hands thoroughly after handling this material. Contact with eyes, skin and clothes should be avoided. Empty containers that retain residues of the product can be dangerous. Containers should be kept tightly closed and away from ignition sources. Ingestion and inhalation should be avoided. The material should be used under adequate ventilation. Empty containers should not be pressurized, cut, welded, brazed, soldered, drilled, grinded, or exposed to ignition sources. Containers should be stored away from ignition sources as well as from acids. People using this material should work with appropriate protective eye glasses, gloves and clothing. If exposure limit exceeds or if irritation or other symptoms are experienced, appropriate respirators should be used. All plants using this substance should be equipped with an eyewash facility and a safety shower. Adequate ventilation should also be there to keep airborne concentrations low.